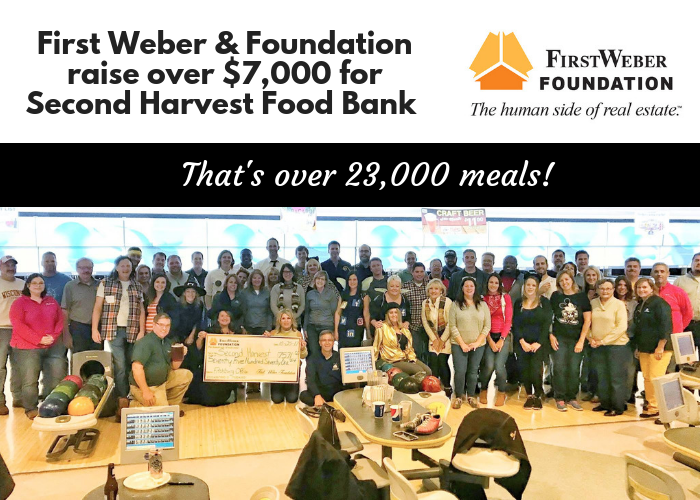 Great job to First Weber’s Fitchburg office for raising more than $7,000 during their bowling fundraiser for Second Harvest Food Bank! Giving back is what it’s all about! Since 2012, the office has raised $38,800 which equals more than 116,000 meals. In 2018, they provided over 20,000 meals. The First Weber Foundation will provide matching funds.